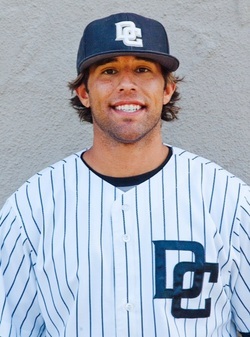 I am a 26 year old assistant baseball coach at San Joaquin Delta College in Stockton, CA, which is one of the premiere junior college baseball programs in California. My passion for coaching and unbelievable experience at Delta College has landed me back in school, now pursuing my M.A. Kinesiology: Physical Education Emphasis. Prior to coaching I played baseball and received my B.A. from the University of Nevada, Reno in 2011. Upon graduating I was afforded the opportunity to play professionally in Europe. I lived, played, and coached in Germany for a year, which was by far the coolest experience of my life. I made new lifelong friends and traveled the world. Athletics have provided me with amazing opportunities in life. I hope to share my knowledge, stories, and passion with others to inspire them to pursue their dreams.